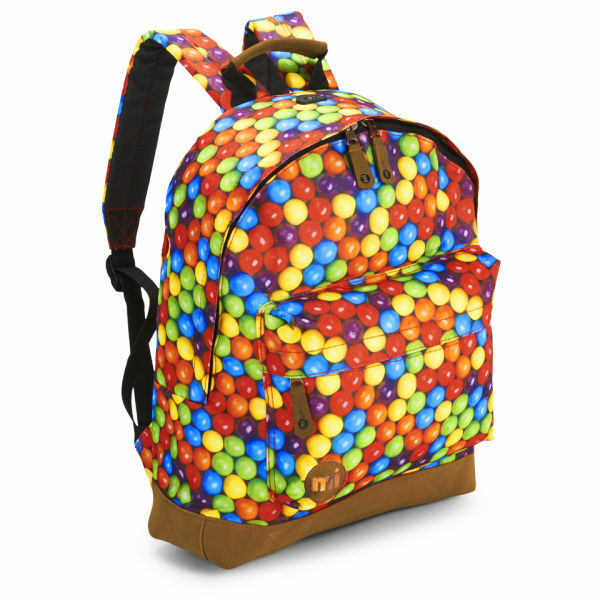 Boasting a lavish canvas outer with a reinforced suede base, the Premium Gumballs Sublimated Print Backpack by Mi-Pac combines functionality and style, with a classic silhouette and practical design. Featuring adjustable, padded shoulder straps and a top grab handle, the rucksack is fastened by a zip around closure which conceals an inner with a spacious main compartment and padded laptop sleeve. 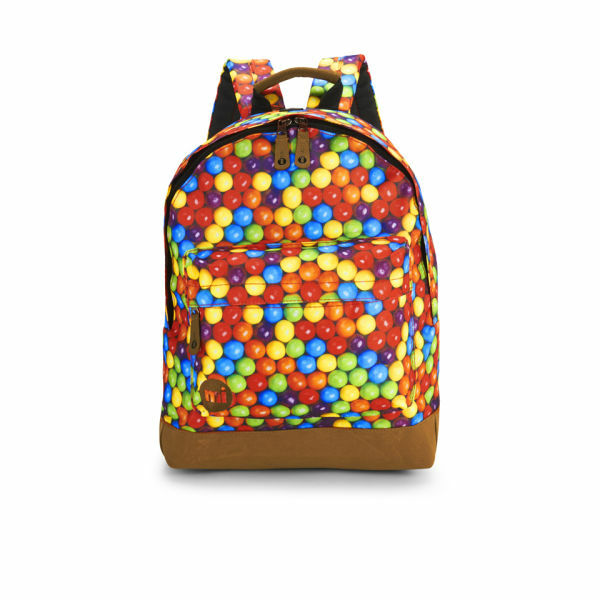 Adorned with an all over multicoloured gumball graphic and with an additional zipped front pocket, it's finished with logo detail and a media port to the top to cater for headphones. K.D. 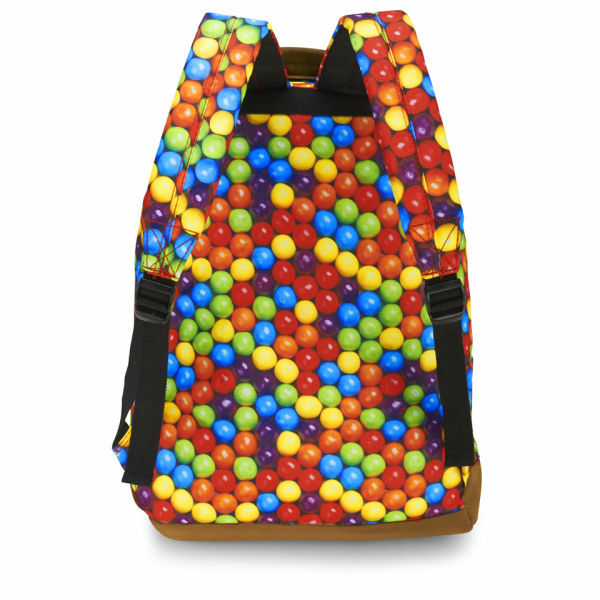 Mi-Pac is a UK based company founded to create high quality bags without the expensive price tag. 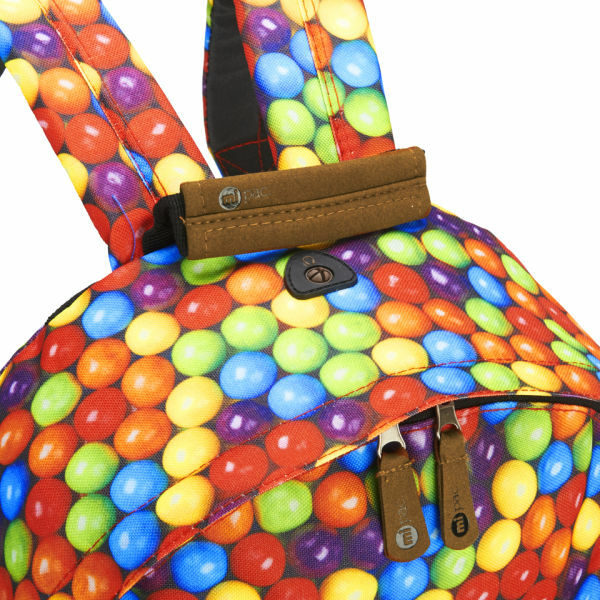 Each and every bag is made with the best quality materials and has been designed to last the test of time. 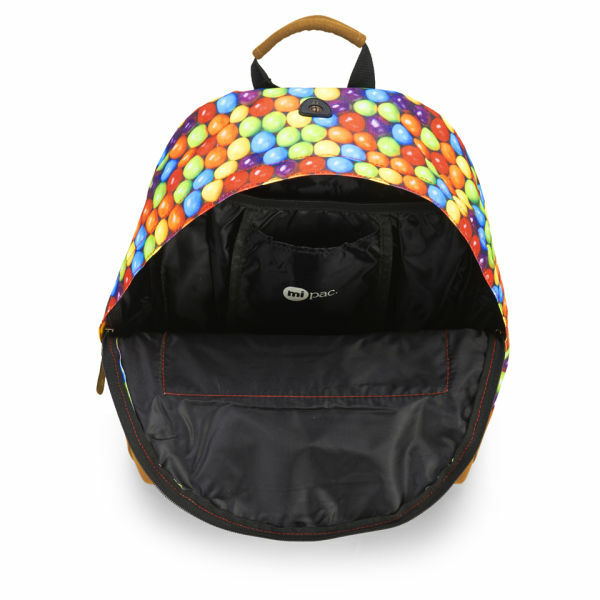 And with such a versatile design and with so many colours to choose from, the Mi-Pac bags are the perfect backpacks for school, college or town.